Anyone can claim they are a tax specialist. However, an attorney who is a "certified" tax specialist must meet certain standards. If an attorney is certified by the State Bar of California Board of Legal Specialization, it means that he or she has had to pass a written exam, demonstrate experience based on the performance of a variety of activities related to the area of law in which he or she specializes, participate in continuing education activities in that area of law, and be favorably evaluated by other attorneys and judges familiar with the tax lawyer's work. Under the California Rules of Professional Conduct 1-400(D)(6), a tax attorney advertising as a "certified tax specialist" must be certified by the State Bar of California Board of Legal Specialization or a certifying organization accredited by the State Bar. Currently, the State Bar of California Board of Legal Specialization is the only organization which may certify a California tax attorney as a tax specialist. On the other hand, any California attorney can say they are an "expert." That term has no particular legal meaning in the State of California. Other states may have different rules. As of the Winter of 2016, there were only 318 tax attorneys in the entire state of California who were certified tax specialists, including 97 in Los Angeles County. That's out of a total of almost 187,596 active attorneys in Califonia. The field of tax law has many subspecialties. So for example, most tax attorneys spend the bulk of their time doing so-called tax planning. Tax planning involves thinking about transactions that you expect to enter into in the future and deciding if there is some way of doing it in a manner that will save taxes. For example, if you were starting a new business, an attorney specializing in tax planning might advise you as to whether you were better off forming a Subchapter S corporation, a "C" corporation. If you owned a lot of rental real estate, a tax planning attorney might advise you to have a cost segregation study done to increase your depreciation deductions. Of the tax lawyers that do tax planning, some do mostly individual tax planning and others do mostly corporate tax planning. Still, other do both individual and corporate tax planning. There are tax lawyers who do mostly international tax planning. Some of those international tax attorneys do mostly inbound tax planning, while others do more outbound tax planning. Outbound tax planning involves structuring transactions that involve sending money overseas. For example, starting a business in a foreign country. Inbound tax planning, on the other hand, involves advising non-U.S. persons on the most tax efficient ways of investing their funds in the United States. Tax controversy attorneys handle disputed tax matters. Disputed tax cases come in many different varieties. They might be disputes with the IRS, or a state taxing agency such as the California Employment Development Department (EDD), the California State Board of Equalization (SBE), or the California Franchise Tax Board (FTB). Tax disputes with each of these agencies fall into several different categories. A tax dispute might relate to a challenge to an additional tax liability asserted by a taxing agency, or to a penalty imposed by one of the taxing agencies. For example, the IRS might impose an "accuracy penalty" for errors made on a tax return. This penalty is 20 percent of the tax due. A tax controversy attorney could help you fight that penalty. 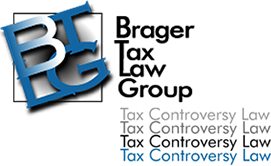 Sometimes tax controversy attorneys are referred to as tax litigation attorneys, tax dispute attorneys, or tax problem attorneys, but it means the same thing. Another type of tax dispute is not actually a dispute at all. Sometimes taxpayers incur taxes that they can't afford to pay. In that case, a tax controversy lawyer could help structure an installment payment agreement, help obtain an Offer in Compromise, or advise as to whether or not bankruptcy would be a solution to the tax problem. Then there are criminal tax attorneys. A crimnal tax lawyer assits clients who are concerned that their tax situation has gotten so bad that they are afraid they might go to jail for what they have done. Criminal tax attorneys also represent clients who are subpoenaed by a grand jury even if they don't think they could go to jail for what they've done, so that the criminal tax attorney can help make sure that a client doesn't inadvertently turn a civil tax case into a criminal tax case. The California State Bar does not certify any of these subspecialties. Therefore, it's up to the client to determine if their attorney has sufficient experience to be able toe represent them properly. If you need a tax controversy attorney, one very helpful measure is whether the attorney has previously worked for the IRS. Attorneys who have worked for the IRS in the past have a unique perspective having seen things from the inside.